Sundays in the South: Resolutions, Instagram & Giveaways! Wow! Where did our beautiful summer weather go? It is rainy and in the 50s here today...brrrrr! I had to pull out the skinny jeans and boots again! The mister and I trudged out in the rain to do a little shopping today. I was looking for a few specific items and, well, you know how that goes. I did find the robin's egg blue placemats I needed to match my new tablecloth for the dining room, but no such luck for a new shower curtain and/or dishes that have been on my "want" list forever!! :( I sooooo wish I could just hire someone to keep my home decor current. I love for it to look nice, but I'm not a fan of finding all the pieces and putting it together myself! Anywho....we also went to Costco today. Surprise! Somehow we always end up there on Sundays even though I always vow never to go there on Sundays and fight with the food-samplers! Ugh! But, that is where I buy some of my favorite snacks and a girl can't be without her snacks! But, this year, the entire family jumped on my family fitness challenge. So far, between my husband and I and my parents, we've lost over 60 pounds already! Whoot! Whoot! The men are taking it pretty seriously, so I think it's going to be a win-win for everyone! The guys have really just been changing their diet, but you know that's not enough for us women. So, my mom and I have definitely been keeping our New Year resolution of getting back to our running routine PLUS we've been adding a couple of miles of walking to our daily workouts. Of course, you can't deprive yourself from everything so I thought I'd share some of my favorite snacks for those times when I want something "bad" - you know, not fruit, yogurt, or rice cakes....although I do love a chocolate rice cake with a little peanut butter! Now, I can't really say these are healthy after reading the ingredients, but they sure do satisfy my chocolate craving. I immediately come home and portion them into 23 ziploc baggies so that I only eat one serving at a time. But, I do have a portion almost daily! You can find these at Wal-Mart even, but Costco has the best deal with a 2 pound bag for 9.99. I may have bough multiple bags today...don't judge. 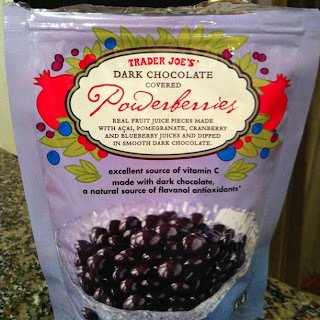 I stumbled across those after my Trader Joe's was out of Power Berries for months! I think the Power Berries may be healthier, but when the warehouse is out and they don't know when they will get them back in, what's a girl to do?? 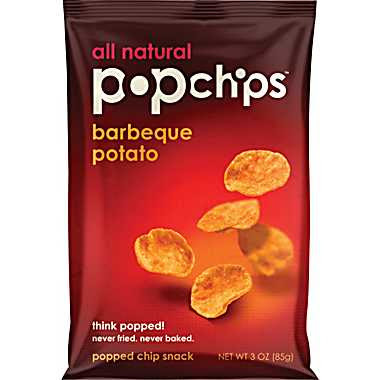 I love, love, love some Pop Chips - but only the barbecue ones! I first saw these from Jillian Michaels promoting them. I usually pick them up at Publix, but guess what? They have huge bags at Costco now!! I just portion them into small bags as soon as I get them home. Perfect for a grab and go snack! What are some of your favorite "healthy" snack options to satisfy those snack cravings? I've only added a few (old) pictures since I just created the account today, but I can't wait to get back to school on Tuesday (we're out of school on Monday since we didn't use our snow days this year! Yippee!!) You know what they say....a picture is worth a thousand words!! 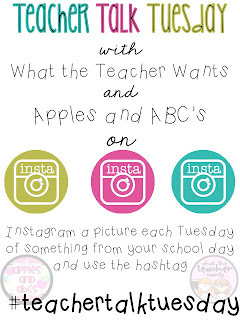 I hope y'all will join in for the new "Teacher Talk Tuesday" on Instagram! Just snap a pic and hashtag it with #teachertalktuesday so we can all find each other!! 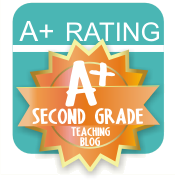 And, now for some fabulous giveaways from a couple of MY FAVORITE 2ND GRADE TEACHER BLOGGERS! Linda over at "Around the Kampfire" is starting a series on Tomie DePaolo and she's starting it off with a bang with a giveaway of her precious unit and 10 of his books that you can use with the unit!! WOW! Click the button above to head over and enter her giveaway! 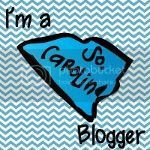 If you're not already following her blog, one peek around it will convince you to click that "follow" button - she seriously has PRECIOUS ideas!! Then, head on over to visit Rachel at "The Tattooed Teacher" for her spectacular birthday giveaway! She celebrated her 16th birthday all over again yesterday with a SWEET deal! 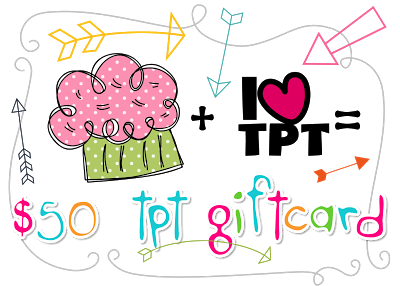 You can win a $50 TpT gift certificate! And, when I told her that I was celebrating my 16th birthday again this year, she didn't even question it (even though I'm wayyyyy past that)....just another reason why I love her! ;) Hop on over and enter to win...just click the image above. Just became your follower (#12). I've never thought about portioning snacks into little baggies after coming home from the grocery store...GENIUS! Eating just one serving of my favorite little snacks is such a challenge, so yay!! Thank you so much for sharing!! 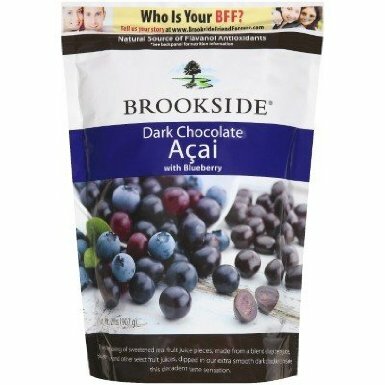 The dark chocolate blueberries from Costco are my favorite!! 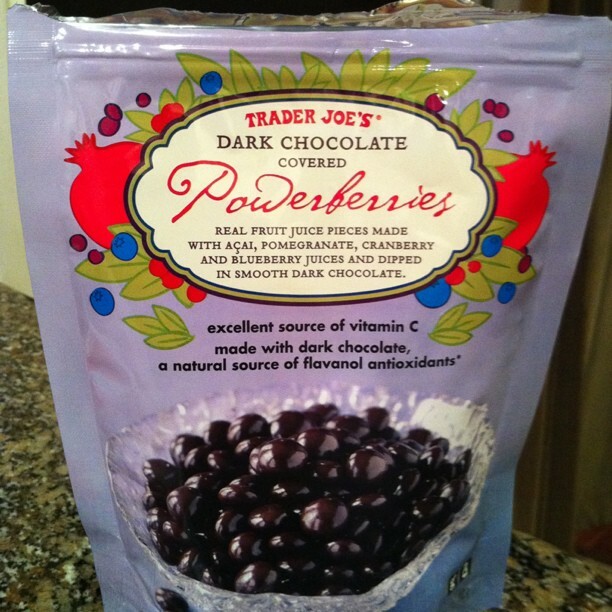 I love the dark chocolate pomegranate as well! Wow! You get out of school if you don't use your snow days! We never get that. We always have 4-5 extras that we just work for free. I love those cheese puffs. I am addicted to them! I feel like it's okay since they aren't many calories. Good luck on your diet! I am working on losing some weight, too! Except I have a LOT more weight to lose than you do! :) I've lost about 8 pounds so far, though! My favorite snacks lately have been blackberries...love them! I will definitely be looking for you on Instagram and would love to participate in Teacher Talk Tuesday!! I use Instagram for my personal use, but capture a few teacher things as well! Looking forward to it! As I started reading your post I thought, I need to tell this girl about popchips. But, you are already in the know. Hang in there. You've almost made it to summer break and you'll have all the time in the world to work out (ha ha). oh my gosh, you girls are so far over my head! Instagram? I'm just getting the hang of Facebook! Ha! I seriously need to get with the 21st century! I love the chocolate covered blueberries from Costco! 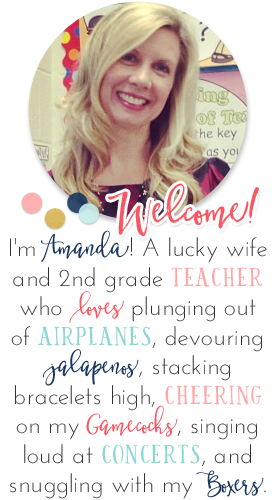 Thanks so much for the sweet shout-out, Amanda!